While an LPGA membership deferral could have better launched her professional career years ago, Stephanie Kono acknowledges the value of "the learning curve." It should have been the happiest day of her life as a golfer with a coveted LPGA Tour membership right there in her hands. Instead, then-UCLA senior Stephanie Kono found herself on a telephone crying to her coach, telling her that if she accepted her LPGA Tour card -- which she had just earned at the LPGA's 2011 final qualifying tournament -- her college career was over. "She was happy and she was crying," UCLA women's golf coach Carrie Forsyth said. "She was happy she had accomplished a dream, but I think she felt she was letting down both me and her team. At the same time, you just don't turn down a full LPGA Tour card." The LPGA has long allowed amateurs and college players to compete in its annual Q-school for the chance to earn LPGA membership through performance in the event's three-stage tournament format. In past years, when amateurs played well enough to earn a tour card, they had to accept the membership and turn professional immediately after the last round of the final stage. But this year's Q-school offered several new options for participants. For the first time, the LPGA changed its final stage of Q-school into back-to-back 72-hole tournaments on two different courses at Pinehurst Resort and renamed the eight-round cumulative final the LPGA Q-Series. The LPGA also extended invitations to the top five collegiate players according to the Golfweek/Sagarin college rankings, and for the first time allowed any amateur finishing inside the top 45 and ties to defer LPGA membership until July 1, 2019. If players don't accept membership as a professional by that date, they will forfeit LPGA qualification status and are no longer eligible for membership. The new option to defer LPGA membership now gives players the chance to return to college and complete their spring golf season -- an option that wasn't available to Kono for her final 2012 season and last NCAA championship with a Bruins team that had won the 2011 national title. "In one sense, it's great the LPGA offers that option. But if you earn LPGA membership, it's a tough decision not to take it," said Kono, 28, of Honolulu, Hawaii, who lost her LPGA Tour card following a difficult 2012 rookie season and who has largely labored on the Symetra Tour ever since. "It's kind of like handing someone a Christmas present and saying, 'Well, do you want it or not? It's up to you.' You've just been offered something pretty special -- a lifetime dream -- but then you're also trying to please your coach and your university," Kono added. In Kono's case, a communication misunderstanding brought her to the LPGA's 2011 final Q-school. Kono had already earned high status on the LPGA's pipeline Symetra Tour through the early stages of Q-school that year, which was all she wanted. Her plan all along was to earn Symetra Tour status, go back to UCLA, complete her college degree and collegiate eligibility, and start her professional career in the LPGA's minor league right after the spring 2012 NCAA championship. Kono traveled to Daytona Beach, Florida, for the final Q-school in December 2011, with the understanding she had to play in the tournament for her Symetra Tour status. When tour officials recognized the error during the second round, Kono was informed she already had the status she needed and could withdraw from the tournament. By that time, however, she was tied for second and on her way to earning full LPGA status. Wake Forest senior Jennifer Kupcho finished second at this year's Q-Series and chose to defer her 2019 LPGA membership. "She had already spent money to be there, and now she was high on the leaderboard at the final stage," said Forsyth. "She's a player, so she played and [tied for ninth] to earn her 2012 LPGA Tour card. It led to a bittersweet moment for her." The three-time first-team All-American packed her bags for the LPGA Tour in February 2012, and spent the season missing tournament cuts and losing confidence. She was unprepared for the extensive tour travel, the knowledge of how to hire a caddie and how to self-sustain at the most competitive level she had ever faced. 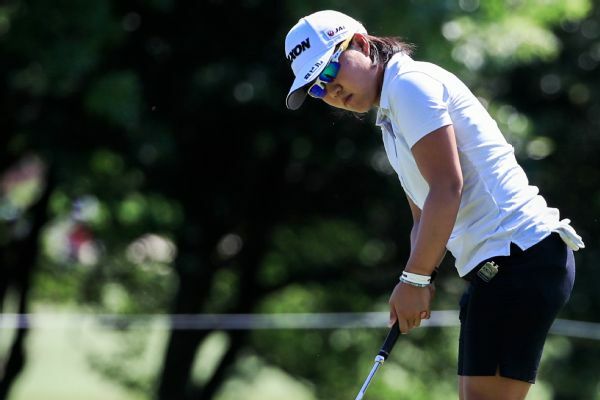 "I just wasn't ready, my game wasn't quite there, and there was a big adjustment to professional golf," said Kono, who tied for 39th at the LPGA Q-Series in early November to regain LPGA membership for 2019. "If I could have played on the Symetra Tour first like I had planned, it would have been a better route for me to make the adjustments I needed before moving on to the LPGA." 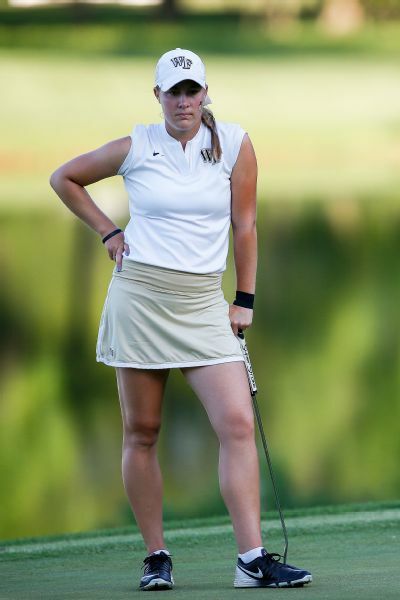 One player who opted to defer her 2019 LPGA membership at this year's Q-Series was Wake Forest University senior Jennifer Kupcho, who finished second overall. At No. 2 in the World Amateur Golf Ranking, Kupcho plans to return to college, finish out her senior season and attempt to defend her title as the reigning individual NCAA women's golf champion. "It really helps coming into Q-school knowing I can go back to school, get my degree [in communications] and have LPGA status waiting for me when I turn pro," said Kupcho, 21, of Westminster, Colorado. "I think the LPGA making this change is great for the players who are good enough to be on the LPGA Tour but who still want to finish their last year of school." In fact, four of the five collegiate players invited to participate in the recent LPGA Q-Series earned 2019 LPGA status. Eight of the 11 amateurs in the field finished inside the top 45 to earn their tour cards. 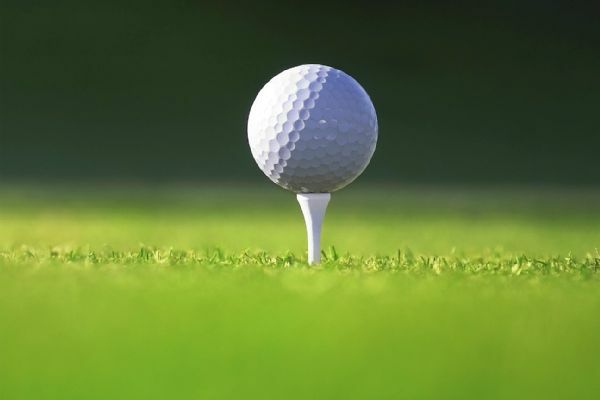 Two top amateurs, college senior Lauren Stephenson of Lexington, South Carolina, and junior Kristen Gillman of Austin, Texas -- both members of the University of Alabama's women's golf team -- earned 2019 LPGA membership. Their decision to defer is an option as they head into the new year. "The idea behind the option to defer is to give the athlete more choices," said Heather Daly-Donofrio, LPGA chief tour operations officer. "This puts the control in their hands about what they want to do as it relates to their college program." Daly-Donofrio said the LPGA has had "multiple conversations with players and coaches" for the past six years advocating for deferral. The Tour's decision to change the former 90-hole final stage of Q-school into the consecutive 72-hole Q-Series stems from a desire to better identify top performers each year, she said. It really helps coming into Q-school knowing I can go back to school, get my degree [in communications] and have LPGA status waiting for me when I turn pro. And while the LPGA's decision to invite the top-five ranked college players to the Q-Series may not thrill some college coaches, Daly-Donofrio said the end goal is to ultimately attract the best players in women's golf to the LPGA. "I certainly understand the challenges from the coaches' perspective, and I empathize with what they are going through, but it comes down to the athlete's choice and what they want to do with their career," said Daly-Donofrio, who played and coached at Yale University before playing on the LPGA Tour and going to work as a senior staff member at the LPGA. "I'm really happy the LPGA went with the deferral option to give athletes that choice." 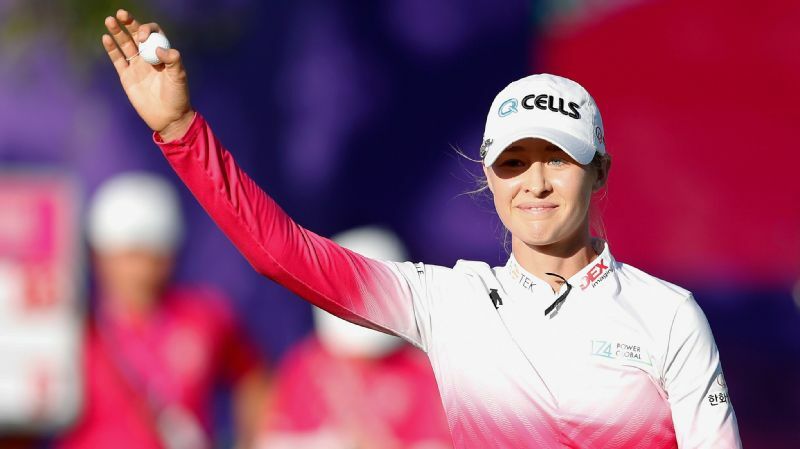 The LPGA "reshuffles" its players' membership standings throughout the season based on performance and earnings, but Daly-Donofrio noted the LPGA plans to "hold the position on the LPGA's priority list" for players who use the deferral option. "If amateurs opt to defer and aren't on tour earning money, they won't lose their spot on the priority list, which is how they gain entry into their first tournament," she said. Kono finally regained confidence in her game to win her first professional tournament in July on the Symetra Tour. It took seven years and a bumpy ride that has included recovery from a back injury. And while an LPGA membership deferral could have better launched her professional career years ago, Kono acknowledges the value of "the learning curve" and points toward renewed hope for the years ahead. "The past is what it is," she said. "I'm still happy that I'm playing professional golf and now with full LPGA status for 2019."